It’s almost time! 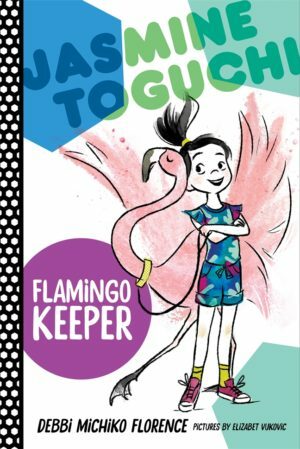 Jasmine Toguchi Flamingo Keeper releases on July 3, 2018! A sweet, special story of sisterhood and new responsibilities! If you have already pre-ordered or pre-order before July 3, you will be eligible for goodies! [US mailing addresses only.] Just email me at jasminetoguchibooks@gmail.com a copy of your proof of purchase, and you will be entered in a weekly drawing. ALL entrants will be eligible for a grand prize. See schedule below. Every Friday, starting June 8 through June 29, I will draw a name from the previous week’s entries. 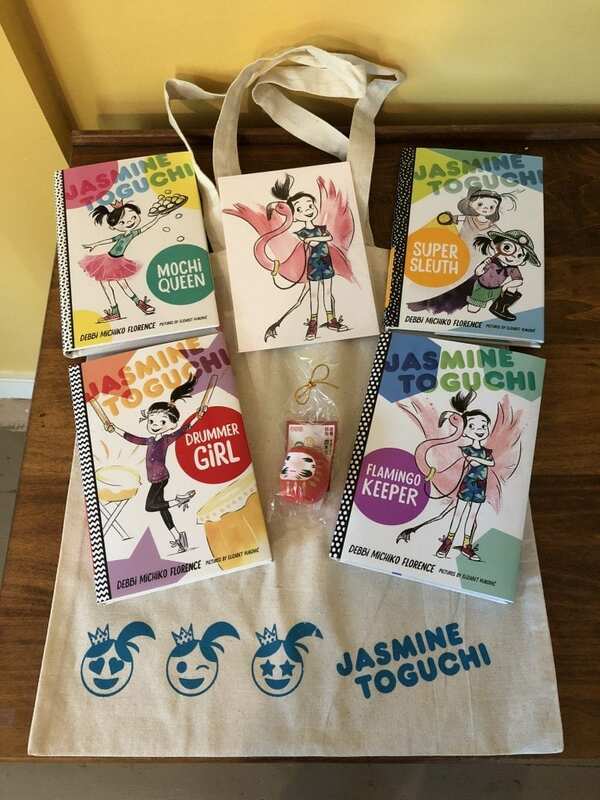 The winner will receive a group of 2 – 4 prizes from the above photo, plus Jasmine Toguchi bookmarks and stickers. Each week’s winner will be announced here (below) and contacted by email. Winner of June 1 – 7 giveaway: Neha! Winner of June 8 – 14 giveaway: Emi! 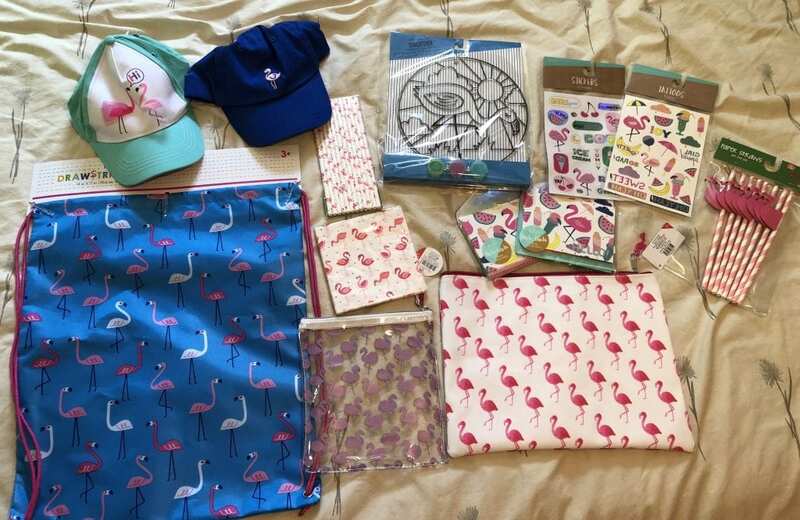 Winner of June 15 – 21 giveaway: Sarah M! Winner of June 22 – 28 giveaway: Audrey! 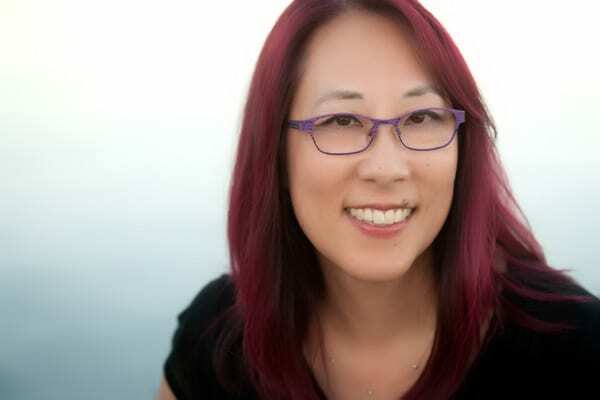 On July 3, launch day, I will draw a name from ALL entrants (including previous winners), emails dated from June 1 – July 2 for the grand prize: A signed hardcover set of the Jasmine Toguchi chapter book series, Mochi Queen, Super Sleuth, Drummer Girl, and Flamingo Keeper; Jasmine Toguchi swag; a daruma doll; a 5×7 print of the illustration from the Flamingo Keeper cover by illustrator Elizabet Vukovic; and a bag personally designed and silkscreened by illustrator Elizabet Vukovic! Grand Prize Winner (announced on July 3): Cathy! A big thank you to all of you for supporting Jasmine Toguchi! Good luck and happy reading! I work at a K-6 school (Title I) with almost 900 students. They would love this set of books!! Thank you for being an educator! Such an important job! Have you entered this drawing by sending me proof of preorder? Thanks for your support!